Qualifications – to support job roles within industry – available from Certificates I, II, III and IV, to Diploma and Advanced Diploma. Units of competency – are the building blocks of qualifications. They define the requirements for effective performance in a discrete area of work, work function, activity or process. 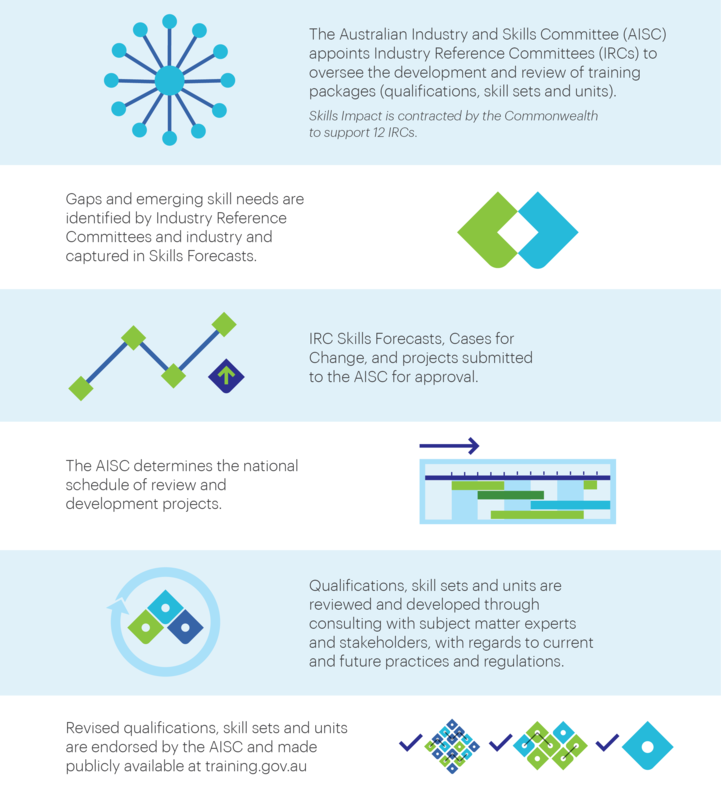 Skill sets – are combinations of units of competency that cover skills required for specialist industry needs (which sometimes can link to a licence or regulatory requirement). 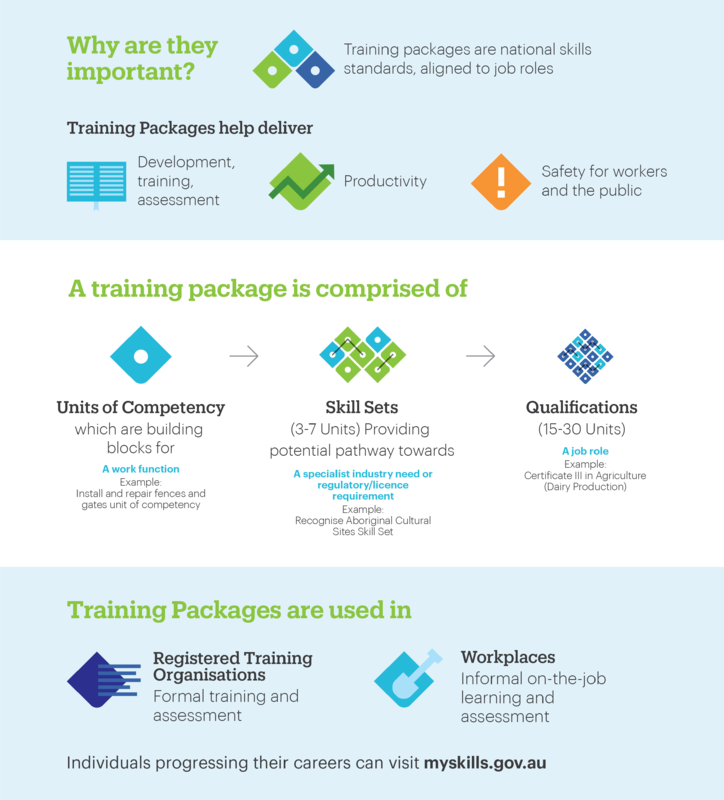 Training packages are a collection of units of competency, skill sets and qualifications that outline the required knowledge and performance criteria for job roles and tasks within industry, and how these can be assessed to determine if a worker is competent. Training packages also include one or more quality assured Companion Volumes, to assist RTOs with the implementation of units, qualifications and skill sets. What is their relationship to training delivery? Registered training organisations (RTOs) use training packages to help design their curriculum or training programmes. Training packages do not prescribe how an individual should be trained. RTOs are responsible for assessing whether an individual meets the skills standards specified by industry and described in a training package, and for issuing a nationally recognised unit of competency, skill set or qualification where appropriate.